Coffinite: Mineral information, data and localities. named for Reuben Clare Coffin (October 29, 1886-September 10, 1972) for his outstanding geologic studies in southwestern Colorado. Stanolind oil company and consultant to USGS. 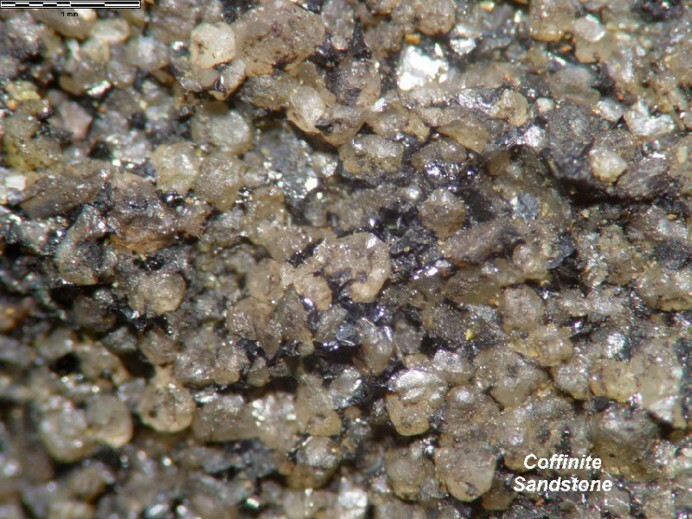 This page provides mineralogical data about Coffinite. Zirconian Yttrian Coffinite The ZrO2 and Y2O3 contents reach 13.8 and 3.4 wt.%, respectively (René, 2015). Uraninite 5 photos of Coffinite associated with Uraninite on mindat.org. Eucairite 4 photos of Coffinite associated with Eucairite on mindat.org. Clausthalite 4 photos of Coffinite associated with Clausthalite on mindat.org. Sabatierite 3 photos of Coffinite associated with Sabatierite on mindat.org. Pitchblende 3 photos of Coffinite associated with Pitchblende on mindat.org. Berzelianite 3 photos of Coffinite associated with Berzelianite on mindat.org. Brannerite 2 photos of Coffinite associated with Brannerite on mindat.org. Tyuyamunite 2 photos of Coffinite associated with Tyuyamunite on mindat.org. Fergusonite-(Y) 2 photos of Coffinite associated with Fergusonite-(Y) on mindat.org. Montmorillonite 1 photo of Coffinite associated with Montmorillonite on mindat.org. 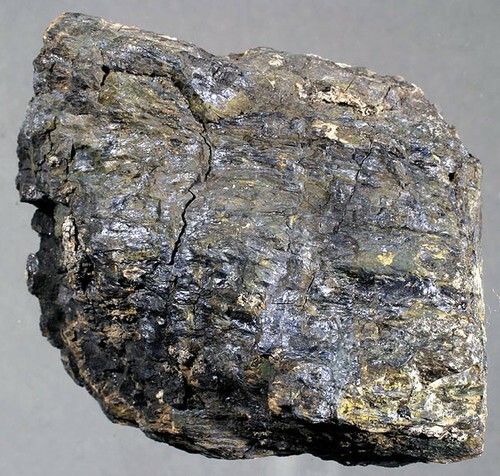 Stieff L R, Stern T W, Sherwood A M (1956) Coffinite, a uranous silicate with hydroxyl substitution: a new mineral. American Mineralogist 41, 675-688. Ondruš P, Veselovský F, Gabašová A, Hloušek J, Šrein V, Vavrín I, Skála R, Sejkora J, Drábek M (2003) Primary minerals of the Jáchymov ore district, Journal of the Czech Geological Society 48, 19-147. Deditius A P, Utsunomiya S, Ewing R C (2008) The chemical stability of coffinite, USiO4·nH2O; 0<2, associated with organic matter: A case study from Grants uranium region, New Mexico, USA. Chemical Geology 251, 33-49. Deditius A P, Utsunomiya S, Pointeau V, Ewing R C (2010) Precipitation and alteration of coffinite (USiO4·nH2O) in the presence of apatite. European Journal of Mineralogy 22, 75-88. Deditius A P, Pointeau V, Zhang J M, Ewing R C (2012) Formation of nanoscale Th-coffinite. American Mineralogist 97, 681-693. Victorio Angelelli (1958). Los minerales de uranio sus yacimientos y prospección. Departamento de Geología y Mineralogía. Comisión Nacional de Energía Atómica. Argentina. Mark, G., Oliver, N.H.S., and Williams, P.J. (2006): Mineralium Deposita 40, 769-801.; Williams, P. J., Barton, M. D., Johnson, D. A., Fontboté, L., De Haller, A., Mark, G., ... & Marschik, R. (2005). Iron oxide copper-gold deposits: Geology, space-time distribution, and possible modes of origin. Economic Geology, 371-405. Schlegel, T. U., & Heinrich, C. A. (2015). Lithology and Hydrothermal Alteration Control the Distribution of Copper Grade in the Prominent Hill Iron Oxide-Copper-Gold Deposit (Gawler Craton, South Australia). Economic Geology, 110(8), 1953-1994. Wuelser-Pierre-Alain; Lahaye-Yann; Brugger-Joel 2004. Mineralogy and zircon geochemistry of uranium sedimentary-hosted Beverley Deposit (Lake Frome Embayment, Curnamona Province, South Australia), McGoldrick-Peter (editor) Abstracts - Geological Society of Australia. 73; Pages 138. 2004.; Wülser, P. A., Brugger, J., Foden, J., & Pfeifer, H. R. (2011). The sandstone-hosted Beverley uranium deposit, Lake Frome Basin, South Australia: mineralogy, geochemistry, and a time-constrained model for its genesis. Economic Geology, 106(5), 835-867. Brugger, J., Ogierman, J., Pring, A., Waldron, H., Kolitsch, U. (2006): Origin of the secondary REE-minerals at the Paratoo copper deposit near Yunta, South Australia. Mineralogical Magazine, 70, 609-627. Lottermoser B. G. (1995). Neues.Jb. Miner. Mh.1995, 8, 371-384; Roberts, D.E., Hudson, G.R.T., and Li, Z. (1984): Geology and Prospecting 20(7), 32-37, 51; SA Geodata Database - Mineral Deposit Details Deposit Number: 3000; Macmillan, E., Cook, N.J., Ehrig, K., Pring, A. (2017): Chemical and textural interpretation of late-stage coffinite and brannerite from the Olympic Dam IOCG-Ag-U deposit. Mineralogical Magazine 81, 1323-1366. M. Masau, P. Cerny, M.A. Cooper, R. Chapman & J. Grice (2002) Can. Mineral. 40, 1649-1655; Morgan Masau, Petr Cerny and Ron Chapman (2000) Exsolution of zirconian-hafnian wodginite from manganoan-tantalian cassiterite, Annie Claim #3 granitic pegmatite, southeastern Manitoba, Canada. The Canadian Mineralogist, 38:685-694. [MinRec 1991]; WILSON, W.E. (1991) The Lake George antimony mine, New Brunswick. Mineralogical Record 22, 263-267. Chi, G., Haid, T., Quirt, D., Fayek, M., Blamey, N., & Chu, H. (2017). Petrography, fluid inclusion analysis, and geochronology of the End uranium deposit, Kiggavik, Nunavut, Canada. Mineralium Deposita, 52(2), 211-232. Parnell, J., Spinks, S., & Brolly, C. (2018). Tellurium and selenium in Mesoproterozoic red beds. Precambrian Research, 305, 145-150. JOHAN, Z., PICOT, P. & RUHLMANN, F. (1987): The ore mineralogy of the Otish Mountains uranium deposit, Quebec: skippenite, Bi2Se2Te, and watkinsonite, Cu2PbBi4(Se,S)8, two new mineral species. Canadian Mineralogist 25, 625-638.
http://www.mineralinfo.org/Fiches/canada/McArthur.htm; Ng, R., Alexandre, P., & Kyser, K. (2013). Mineralogical and geochemical evolution of the unconformity-related McArthur River Zone 4 orebody in the Athabasca Basin, Canada: implications of a silicified zone. Economic Geology, 108(7), 1657-1689. Dieng, S., Kyser, K., & Godin, L. (2015). Genesis of multifarious uranium mineralization in the Beaverlodge area, northern Saskatchewan, Canada. Economic Geology, 110(1), 209-240. MENG, Y., FAN, H., WANG, F., CHEN, D., & WANG, S. (2010). Mineralogical Characterization of the 460 Deposit, Guyuan Area, Hebei Province, China. Geosciences, 27(3), 149-154. Dahlkamp, F.J., Ed. (2009): Uranium Deposits of the World. Springer (Berlin, Heidelberg), pp. 31-156.; Yang, D. S., Zhang, Y. T., Tu, X. L., Pang, B. C., & Chen, Y. F. (2017). A new genetic interpretation for the Caotaobei uranium deposit associated with the shoshonitic volcanic rocks in the Hecaokeng ore field, southern Jiangxi, China. Solid Earth Sciences, 2(1), 23-40. Maozhong Min, Changquan Fang, and Mostafa Fayek (2005): Ore Geology Reviews 26(3/4), 187-197. IAEA Technical Document 1396 (2004), pp. 59-68.
http://www.paper.edu.cn/en/paper.php?serial_number=200512-392; Maozhong Min, Jia Chen, Jinpeng Wang, Guanhui Wei, and Fayek, M. (2005): Ore Geology Reviews 26, 51-69. Maozhong Min, Jia Chen, Jinpeng Wang, Guanhui Wei, and Fayek, M. (2005): Ore Geology Reviews 26, 51-69. Zheng-Qi Wang, Zi-Ying Li, Tai-Yang Guan, and Guo-Yu Zhang (2006): Mineral Deposits [Kuangchuang Dizhi] 25(3), 302-311.; Maozhong Min, Jia Chen, Jinpeng Wang, Guanhui Wei, and Fayek, M. (2005): Ore Geology Reviews 26, 51-69. Pin'an Wang (2001): Bulletin of the Geological Survey of Japan 52(8). Pauliš P, Kopecký S. Nejzajímavější mineralogická naleziště Čech, Moravy a Slezska III. Kuttna Kutná Hora 2010. p. 42-43. Fiala, V., Richtermoc, J., Zajíček, P.: Supergenní recentní nerosty ne ložisku Dyleň v západních Čechách. Věstník Ústředního ústavu geologického, 1990, roč. 65, č. 5, s. 257-265. Chládek,Š. :Mineralogická charakteristika pegmatitu na Lysé hoře u Maršíkova v Hrubém Jeseníku. Bakalářská práce,Univerzita Palackého Olomouc,2011,s.1-44. Ordynec, G.J., Žukova, V.I., Habásko, J.: Prevariská uranová mineralizace v proterozoiku Českého masívu. Časopis pro mineralogii a geologii, 1984, roč. 29, č. 1, s. 69-77.
kolektiv autorů: Československá ložiska uranu. Praha: Československý uranový průmysl 1984, 368 s.; Parma, Z.: Arzenidy Co-Ni-Fe z Plané u Mariánských Lázní. Acta Universitatis Carolinae – Geologica, 1973, vol. 17, nos. 1-2, s. 119-128. Pauliš P., Kopecký S., Černý P. 2007: Uranové minerály České Republiky a jejich naleziště. 1. část. (Kutna Hora, issue 1); Litochleb J., Sejkora J., Šrein V., Klaudy S., Cílek V., Žák K.: Hydrotermální alterace a mineralizace uranového ložiska Nahošín jz. od Blatné, Česká republika. Bulletin mineralogicko-petrografického oddělení Národního muzea v Praze, 2009, roč. 17, č. 2, s. 1-22. Mineralienwelt 1993(1), 13; Kříbek, B., Žák, K., Dobeš, P., Leichmann, J., Pudilová, M., René, M., ... & Lehmann, B. (2009). The Rožná uranium deposit (Bohemian Massif, Czech Republic): shear zone-hosted, late Variscan and post-Variscan hydrothermal mineralization. Mineralium deposita, 44(1), 99-128. Pavel M. Kartashov SEM-EDS 2014. Jyrki Autio collection. P.-C. Guiollard (2002), L'uranium du Morvan et du Forez, Ed. P.-C. Guiollard, Fichous(64), 95 pp. DE ASCENCAO GUEDES R. (2000). Uranium et fentes tardi-hercyniennes. Le Règne Minéral hors-série n°6, pp. 21-23. Editions du Piat. MinMag 60:665; Jensen, K.A., Palenik, C.S., and Ewing, R.C. (2002) U 6+ phases in the weathering zone of the Bangombe U-deposit: observed and predicted mineralogy. Radiochim. Acta: 90: 761-769.; Janusz Janeczek (1999) Mineralogy and geochemistry of natural fission reactors in Gabon. Reviews in Mineralogy and Geochemistry, MSA, v. 38, p. 321-392; Eberly, P., Janeczek, J., & Ewing, R. (1994). Precipitation of uraninite in chlorite-bearing veins of the hydrothermal alteration zone (argile de pile) of the natural nuclear reactor at Bangombe, Republic of Gabon. In MRS Proceedings (Vol. 353, p. 1195). Cambridge University Press. ; Utsunomiya, S., Deditius, A. P., Pointeau, V., & Ewing, R. C. (2008). Coffinite and ningyoite from the natural nuclear reactor at Bangombe, Gabon. Geochimica et Cosmochimica Acta, 72(12suppl. 1), A968. ; Janeczek, J., & Ewing, R. (1996). Phosphatian coffinite with rare earth elements and Ce-rich françoisite-(Nd) from sandstone beneath a natural fission reactor at Bangombé, Gabon. Mineralogical Magazine, 60(4), 665-669. Pergamalis, F., Karageorgiou, E.D., Koukoulis, A., Katsikis, J. (2010): Mineralogical-Geochemical study of uranium bearing granite phases in Paranesti area, N. Greece. In: Scientific Annals, School of Geology, Aristotle University of Thessaloniki, Proceedings of the XIX CBGA Congress, Thessaloniki, Greece, Special volume 99, pp. 307-316. Alexandre, P. (2010): Mineralogy and geochemistry of the sodium metasomatism-related uranium occurrence of Aricheng South, Guyana. Mineralium Deposita 45, 351-367. 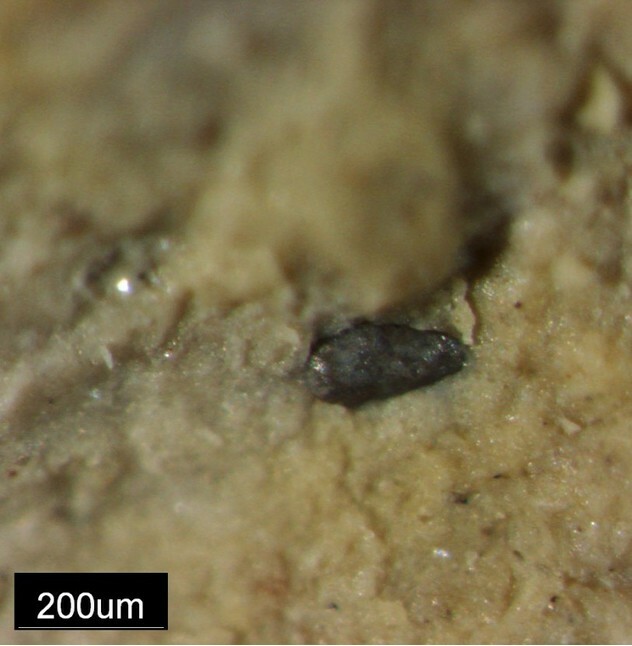 Shikazono, N., and Utada, M. (1997): Mineralium Deposita 32, 596-606. Canadian Mineralogist Vol. 19,p p. 325-331(1981); Muto, T. (1962). The Precititation Environment of Ningyoite. Mineralogical Journal, 3(5-6), 306-337. Mochnacka K. 1966: Minerały kruszcowe złoża polimetalicznego w Kowarach (Dolny Śląsk). Pr. Miner. Kom. Nauk PAN Oddz. w Krakowie nr 4; Mochnacka, K., Oberc-Dziedzic, T., Mayer, W., & Pieczka, A. (2015). Ore mineralization related to geological evolution of the Karkonosze–Izera Massif (the Sudetes, Poland)—Towards a model. Ore Geology Reviews, 64, 215-238. Salamon W., Banaś M. 2002: Coffinite from the permian copper-bearing ores, SW Poland. Mineralogia Polonica, vol. 33, no 1, 3-16; Banaś, M., Kwiecińska, B., & Starnawska, E. (2005). The association of uranium, vanadium and organic matter in the copper deposits in Weissliegend sandstones (Fore-Sudetic monocline, Poland). Mineralogia Polonica. Zajzon, N., Szentpéteri, K., Szakáll, S., & Kristály, F. (2015). The origin of the Avram Iancu U–Ni–Co–Bi–As mineralization, Băiţa (Bihor) metallogenic district, Bihor Mts., Romania. International Journal of Earth Sciences, 104(7), 1865-1887. Pavel M. Kartashov data; Pekov I.V. et al. (2010) Mineralogy of Belorechenskoe deposit (Northern Caucasus, Russia). Mineralogical Almanakh, 15(2). Solodov, I.N., Chertok, M.B., Ganina, N.I., and Shulik, L.S. (2006): Geology of Ore Deposits 48(1), 61-73.; Doinikova, O. A., Solodov, I. N., & Chertok, M. B. (2009). Mineral composition of uranium ore at the Dalmatovo deposit, Russia. Geology of Ore Deposits, 51(6), 486-495. Aleshin, A.P., Velichkin, V.I., and Krylova, T.L. (2007): Geology of Ore Deposits 49(5), 392-412. Stalder, H. A., Wagner, A., Graeser, S. and Stuker, P. (1998): "Mineralienlexikon der Schweiz", Wepf (Basel), p. 371. Meisser, N. (2012): La minéralogie de l'uranium dans le massif des Aiguilles Rouges. Matér. Géol. Suisse, Sér. géotech. 96, 183 p.
Stalder, H. A., Wagner, A., Graeser, S. and Stuker, P. (1998): Mineralienlexikon der Schweiz. Wepf (Basel), p. 119.; Meisser, N. (2012): La minéralogie de l'uranium dans le massif des Aiguilles Rouges. Matér. Géol. Suisse, Sér. géotech. 96, 183 p.
Taylor, K. and Harrison, R.K. (1958) Coffinite in Cornwall. Nature, 181, 363.; Bull. geol. Surv. Gt. Britain (1966) 25, 33.; Embrey, P.G. (1978) Fourth supplementary list of British minerals. Mineralogical Magazine, vol. 42, n° 322, 169-177.; Golley & Williams (1995) Cornish Mineral Reference Manual, 18. [Golley & Williams, 1995, "Cornish Mineral Reference Manual", 18]; Mineralogical Magazine 1965 34 : 159-176. Mineralogical Magazine 1965 34, 159-176 (1965); Golley, P. & Williams, R. (1995): Cornish Mineral Reference Manual. Endsleigh Publications (Truro), 104 pp. Brian Craik-Smith collection; Embrey, P.G. (1978) Fourth supplementary list of British Minerals. Mineralogical Magazine, vol. 42, n° 322, 169-177.; Kemp, A.J., Palmer, M.R., and Ragnarsdottir, K.V. (1994) The uranium-thorium and rare earth element geochemistry of reduction nodules from Budleigh Salterton, Devon. Proceedings of the Ussher Society, Volume 8, Part 3, 214-218. Darnley, A.G. (1961) Mineralogical Magazine 33, lxi. ; Darnley, A.G. (1961) Mineralogical Magazine 34, 159.; Mineralogical Magazine (1965) 34: 159-176.; Embrey, P.G. (1978) Fourth supplementary list of British minerals. Mineralogical Magazine, vol. 42, n° 322, 169-177. Parnell, J. (1988). The mineralogy of red bed uranium-vanadium mineralization in the Permo-Triassic of Belfast. Irish Journal of Earth Sciences, 119-124. Parnell, J., Still, J., Spinks, S., & Bellis, D. (2016). Gold in Devono-Carboniferous red beds of northern Britain. Journal of the Geological Society, 173(2), 245-248. O.F.Makivchuk, M.M.Kiryanov, A.Kh.Bakarzhiev (2006) Object B4. Michurinske uranium deposit. In International Field Workshop. IAGOD Field trip. Anthony, J.W., et al (1995), Mineralogy of Arizona, 3rd.ed. : 181; Galbraith, F.W. & D.J. Brennan (1959), Minerals of AZ: 97. Anthony, J.W., et al (1995), Mineralogy of Arizona, 3rd.ed. : 189; Finnell, T.L. (1957), Structural control of uranium ore at the Monument No. 2 mine, Apache Co., AZ, Econ.Geol. : 52: 25-35; Witkind, I.J. & Thaden (1963), Geology and uranium-vanadium deposits of the Monument Valley area, Apache and Navajo Cos., AZ, USGS Bull. 1103: 97 (Table 2), 104-105; Young, R.G. (1964), Distribution of uranium deposits in the White Canyon-Monument Valley district UT-AZ, Econ.Geol. : 59: 850-973; Weeks, A.D. et al (1955), Navajoite, a new vanadium oxide from AZ, Am.Min. : 40: 207-212. Anthony, J.W., et al (1995), Mineralogy of Arizona, 3rd.ed. : 181; Young, R.G. (1964), Distribution of uranium deposits in the White Canyon-Monument Valley district, UT-AZ, Econ.Geol. : 59: 850-973. Keith (1970), AZ Bur. Mines Bull. 182: 103-159, 202-289; Bollin & Kerr (1958), Guidebook for New Mexico Geol.Soc., 9th. Field Conference F.P. 164-168. Anthony, J.W., et al (1995), Mineralogy of Arizona, 3rd.ed. : 399. Anthony, J.W., et al (1995), Mineralogy of Arizona, 3rd.ed. : 181; Granger, H.C. & R.B. Raup (1969), Geology of Uranium Deposits in the Dripping Spring Quartzite, Gila Co., AZ, USGS PP 595; Granger, H.C. & R.B. Raup (1959), Uranium Deposits in the Dripping Spring Quartzite, Gila Co., AZ, USGS Bull. 1046-P: 446, 470-472. Galbraith, F.W. & Brennan (1959), Minerals of AZ: 97. Anthony, J.W., et al (1995), Mineralogy of Arizona, 3rd. ed. : 181, 399; Weinrich, K.J. & Sutphin, H.B. (1989), Lithotectonic setting necessary for formation of a U-rich, solution-collapse breccia-pipe, Grand Canyon region, AZ, USGS Open-File Rept. 89-0173. Anthony, J.W., et al (1995), Mineralogy of Arizona, 3rd.ed. : 181; Galbraith, F.W. & D.J. Brennan (1959), Minerals of AZ: 97; Frondel, C. (1958), Systematic mineralogy of uranium and thorium, USGS Bull. 1064: 289. Anthony, J.W., et al (1995), Mineralogy of Arizona, 3rd.ed. : 181; Evensen, C.G. & I.B. Gray (1958), Evaluation of uranium ore guides, Monument Valley, AZ and UT, Econ.Geol. : 53: 639-662. Troxel, Bennie Wyatt & P.K. Morton (1962), Mines and mineral resources of Kern County, California: California Division Mines & Geol. County Report No. 1, 370 pp. : 330-332; Murdoch, Joseph & Robert W. Webb (1966), Minerals of California, Centennial Volume (1866-1966): California Division Mines & Geology Bulletin 189: 153; Pemberton, H. Earl (1983), Minerals of California: 515. Moench, R. H. & Schlee, J.S. (1967): Geology and uranium deposits of the Laguna district, New Mexico. USGS Professional Paper 519.
ⓘ Diamond No. 2 Mine ? ⓘ Mariano Lake deposit ? ⓘ Bernabe Montaño deposit ? Am Min 72:1122-1130; O'Neill, L. C. (2014). REE-Be-UF mineralization of the Round Top laccolith, Sierra Blanca Peaks, Trans-Pecos Texas (MS dissertation). 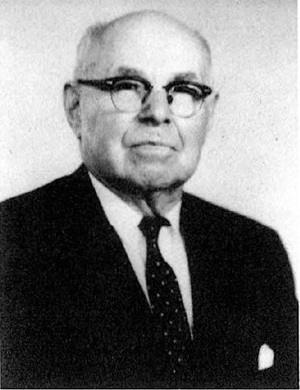 Smith, A.E. (1991), Texas Mineral Locations Index, Rocks & Min. : 66(3). ; Cherepon, Alan J., Minerals of the Karnes Uranium District - The Franklin of Texas. Cunningham, C.G., Rasmussen, J.D., Steven, T.A., Rye, R.O., Rowley, P.D., Romberger, S.B., and Selverstone, J. (1998): Mineralium Deposita 33, 477-494. Bullock, K.C. (1981) Minerals and Mineral Localities of Utah. Utah Geological and Mineral Survey Bulletin 117, 177 pages. Bull. Minéral. , 1987, 110, pp. 145-156. Jones, Harold, 1977, Blue Cap mine: Unpublished Utah Geological Survey Utah Mineral Occurrence System File (UMOS) report, 8 p.
Canadian Mineralogist (2001) 39, pp. 1691-1700; U.S. Geological Survey, 2005, Mineral Resources Data System: U.S. Geological Survey, Reston, Virginia. Bull. Minéral. , 1987, 110, pp. 131-144. Cannon, B. (1975): Minerals of Washington, p.76; USGS Open File Report 81-1666; George E. Becraft and Paul L. Weis (1963) Geology and mineral deposits of the Turtle Lake quadrangle, Washington. USGS Bulletin 1131; Nash, J. T., & Lehrman, N. J. (1975). Geology of the Midnite uranium mine, Stevens County, Washington; a preliminary report (No. 75-402). US Geological Survey],. U.S. Geological Survey, 2005, Mineral Resources Data System: U.S. Geological Survey, Reston, Virginia. ; Econ Geol (1980) 75:296-302; Page, L. R.; Stocking, H. E.; Smith, H. B. (1956) Contributions to the geology of uranium and thorium by the United States Geological Survey and Atomic Energy Commission for the United Nations International Conference on Peaceful Uses of Atomic Energy, Geneva, Switzerland, 1955. USGS Professional Paper 300 pp361-370. Kempe, U., Seltmann, R., Graupner, T., Rodionov, N., Sergeev, S. A., Matukov, D. I., & Kremenetsky, A. A. (2015). Concordant U–Pb SHRIMP ages of U-rich zircon in granitoids from the Muruntau gold district (Uzbekistan): Timing of intrusion, alteration ages, or meaningless numbers. Ore Geology Reviews, 65, 308-326.